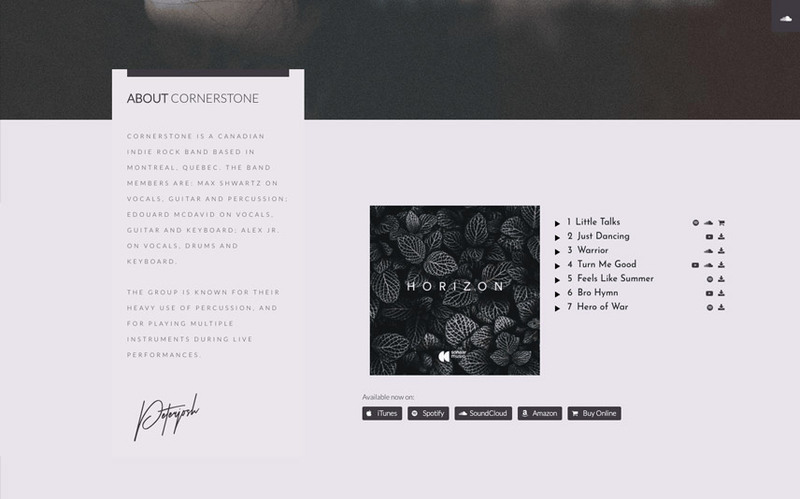 Why Cornerstone is one of the best WordPress Theme for Musician? 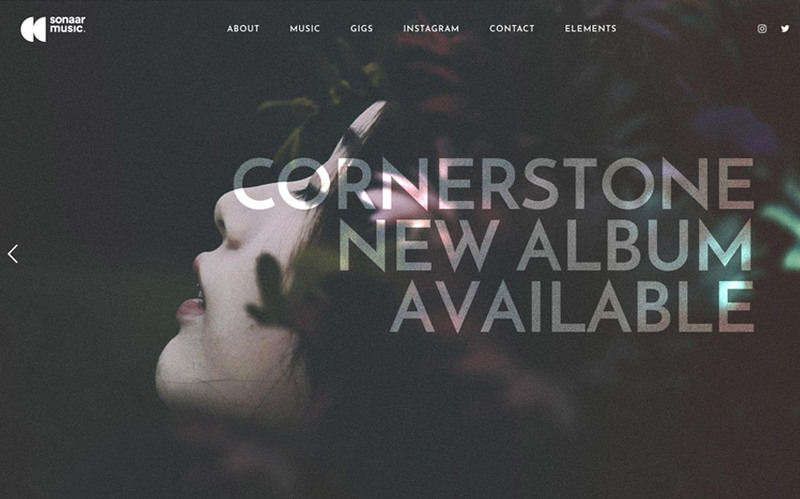 Cornerstone is a fresh, immersive and responsive music WordPress theme designed for indie, pop, jazz and classical artists and musicians. 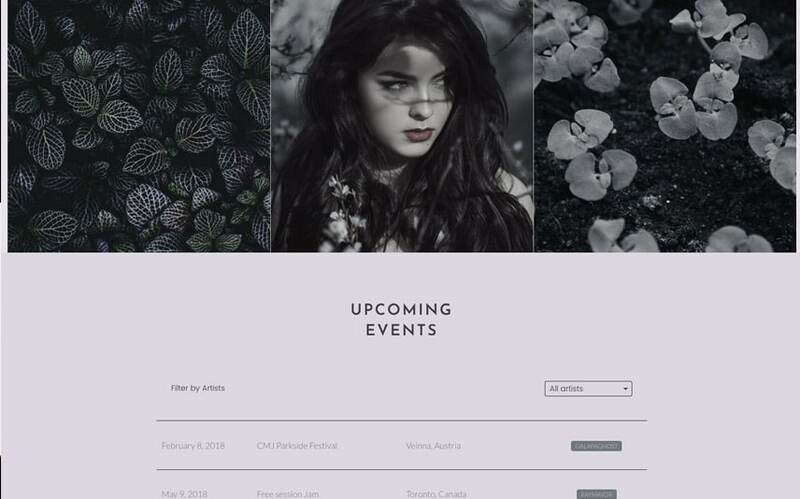 The homepage includes a smooth and full-width image slider, a small biography to introduce the artist, your featured music and tracks along with a nice parallax grid to show either your playlist or artist profiles, a short but effective 3 photos’ row and your upcoming events. You can also showcase your latest news with a nice designed deconstructed grid and a slick footer where you people get in touch with you, follow you on social media and subscribe to your newsletter. 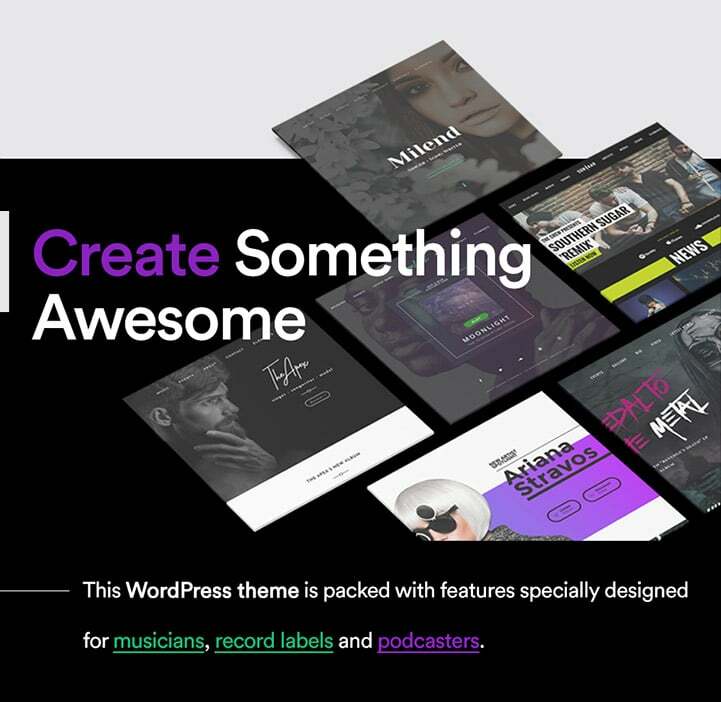 This WordPress Theme for Musician has a lot of features and you can switch all the assets for your own and remove or add unlimited photos, playlists, videos, and pages as you want. Cornerstone music theme is used on thousands of band and musician websites. It’s fully responsive and mobile friendly. By using WordPress and the theme options control panel, you can customize your musician website with unlimited ways. The content management system is very powerful and easy to use. You can switch the Cornerstone’ colour scheme with your own palette and use unlimited Google Fonts typography. You can manage tour dates and upcoming events by using the event manager. You can even connect your Bandsintown account and display your gigs directly on your musician website. This is a very complete WordPress theme 2018 and it includes custom post types specially designed for WordPress website. Artist bands will also be able to add unlimited tracks and multiple music player widgets on any pages. 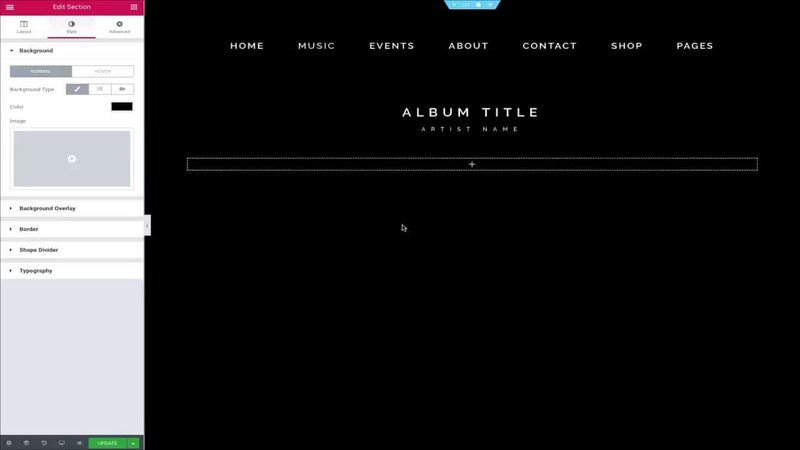 The audio player will play continuously and sticky in the footer while visitors browse the website. What makes Cornerstone unique and authentic compared to any themes (even from the best free music WordPress theme) is that it comes premium plugins such as Slider Revolution where you can set YouTube or Vimeo video background. Also, you have to option to achieve parallax scrolling pages using background images. It gives a 3D effect when you scroll the page. 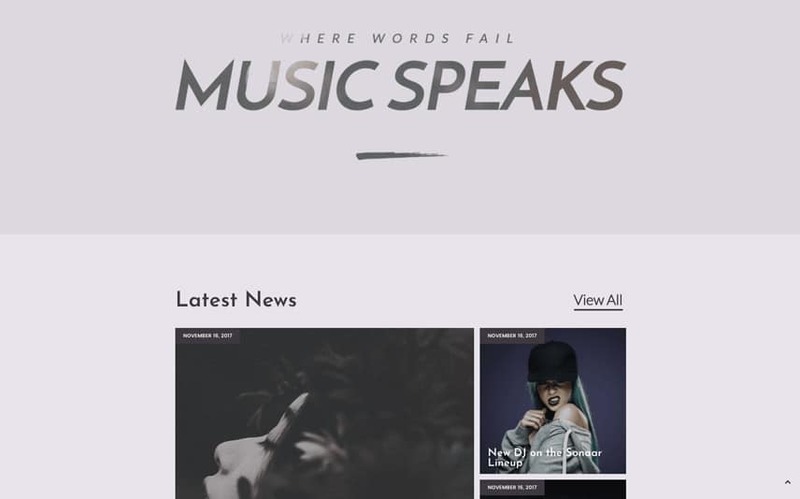 It’s a very nice addition to your music WordPress site. This music WordPress theme is also compatible with WooCommerce to sell music and sell merchandise and is also translation ready!